Next year, I'll be sending my third little one to kindergarten. Like most moms, I don't know where the time went! 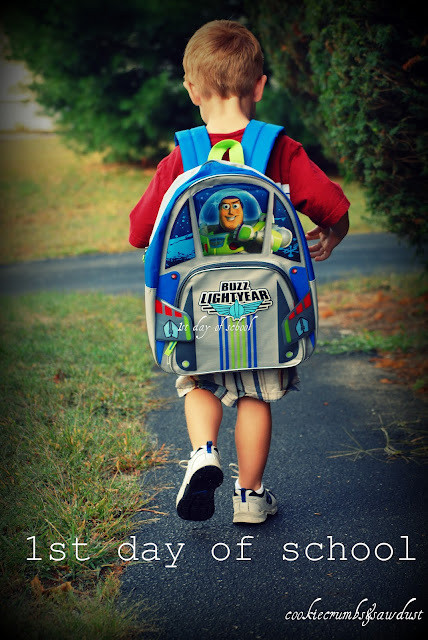 One minute I'm snuggling a newborn in my arms and it seems in a breathe, that same little one is taking his or her first steps onto that big yellow bus, to carry them off to school and into a whole new world. Even though I've done this twice before, I still want to be certain my little guy is ready for this new world and has all the necessary skills and tools to be successful. Have I taught him everything he needs to know? 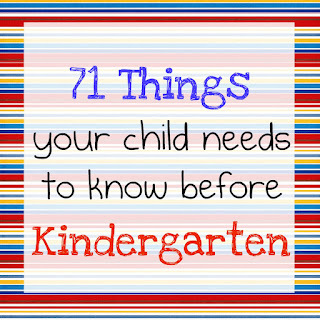 Will my child be physically, academically, and emotionally ready? Luckily, there is an abundance of information available. Your school may even have a readiness test. I recently came across these two boiled down articles. 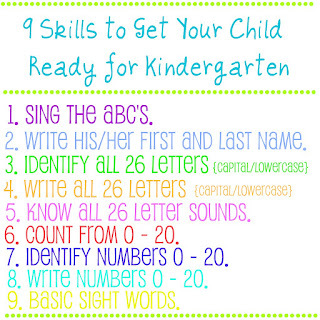 If you are a little iffy on your child's readiness, or just want to confirm their skills, check it out.